The first Brand that sleeps. 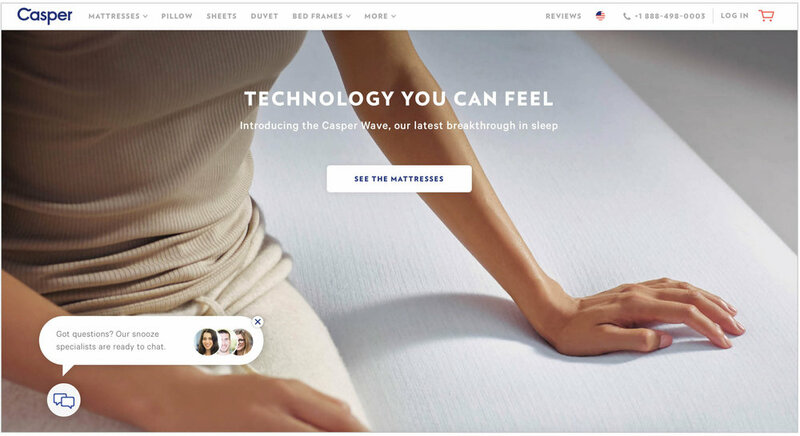 Casper is moving into a lifestyle space. They have expanded their offering into a full sleep system beyond just mattresses. Their brand vision is to own sleep and become an expert in this space. So how do we help them do this in a big and very visible way? You put the brand to sleep. Literally. Brands seem to be so readily available to their consumers now. People demand access all the time. We live on our phones and screens. Everything can be accessed 24/7. So what better time to buck this trend and do the opposite? Show the value of something that is so often taken for granted. Sleep and rest. 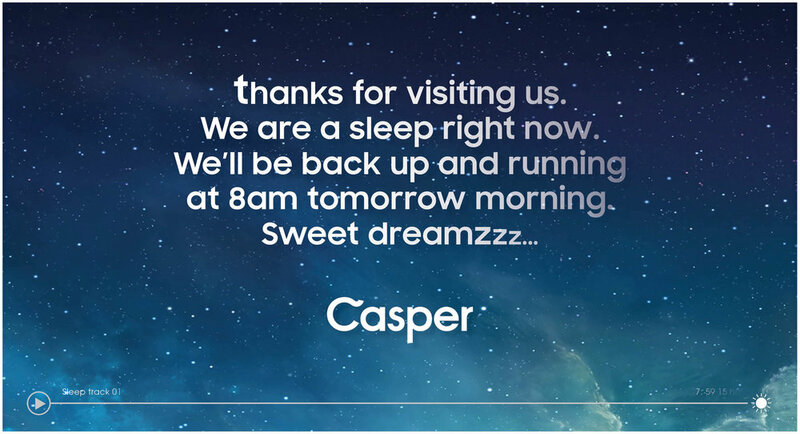 This shows everyone that Casper is serious about sleep. 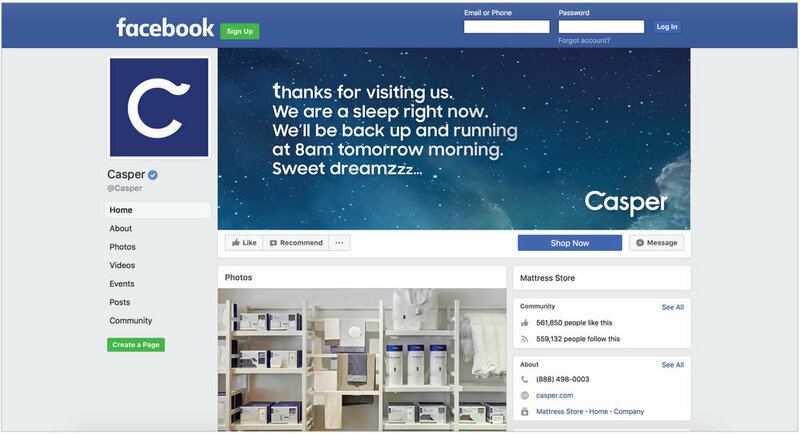 So every day from 11pm till 8am, the brand will go to sleep to show its consumers how much it values sleep. All social media will go dark. 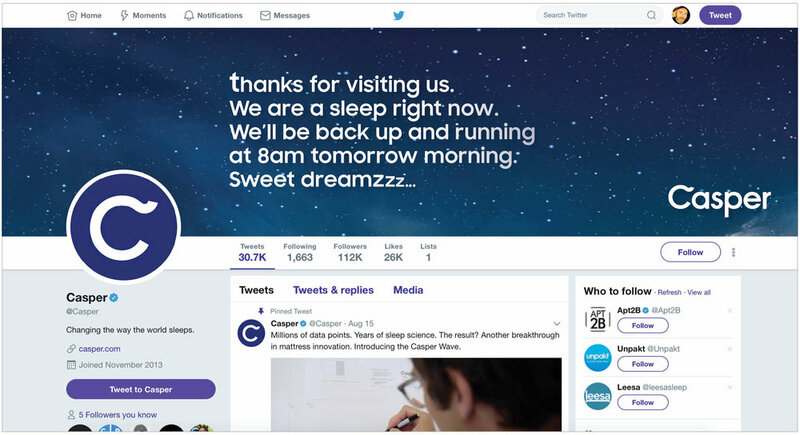 The website will be shut down and replaced with a nighttime screen and calming music to help you sleep. No sales. No ads. No staff available. A brand that now lives by its philosophy and demonstrates its "why". We put Trump and KY in the same conversation. A product to help men last longer sexually with a controversial President that is incredibly polarizing. All the talk about Trump was around his new policies and how much longer he was going to last as a President. This was the perfect time to play straight into this conversation. We created a simple banner campaign posing the question, “How long will he last?” We placed this on all the major US news sites side-by-side with negative articles on Trump. I freelanced at Droga5 for 5 months. While there I partnered the Prudential team and helped them bring this campaign to life. The brand behaves like a cause brand. It's rooted in the DNA of the brand and it's a strong platform that Droga5 have defined with them. It's an incredibly smart way to operate as a brand and it's created some incredibly successful work for both parties. I was excited to get to work on this brand and add to the incredible portfolio of work they had created together. The campaign idea was to get people to take action for their retirement. It was all about doing and not telling. So we set out to see if we could get people to run for their retirements and pledge just 1% more. The 401k Race For Retirement was a fun way to get people to think about retirement and act towards it. The event was held in Washington DC and was attended by over 18 000 people. We created questions along the route for people to answer by running through either a YES or NO gate. We shot content all around the event and used this to create two national films that shared the event and experiment with the rest of the country. People were then directed to an online space where they could take the 1% more pledge and encourage others to do so. We created tools on the site that would help show you the difference just 1% more could make to your retirement. While at Translation I led creative along with my Writer Partner, Nick Sonderup for the agencies biggest account, State Farm. We were tasked with growing the young adult side of the business. We led the charge on three campaigns while we were there. The brands NBA Sponsorship. The now iconic "Jingle" campaign and a content campaign. Microsoft Windows 8 - "Less Talking. More Doing"
In 2013 I took up the challenge of joining the Microsoft team at CPB LA. As a lifelong Apple fan this was a huge deal. I knew it would't be easy to change devices and embrace the competition but it was a great challenge so I went for it. One of the first campaigns I worked on was the launch of the new Windows 8 devices. As a team of Apple fans we approached this project differently. We saw both sides and were able to be truly objective. Truth was Microsoft's Windows devices beat Apple's iPad hands down. So we had to show this. While at BBH New York my partner and I, Asheen Naidu worked on Vaseline. It was an exciting time. The brand was brave and bold and in the midst of a creative revolution. Our Clients, Steve Miles and Fernando Machado were amazing partners. They pushed the ideas and us hard. It was an incredible time to work on this brand. One of my favorite pieces of work was this new product launch. The idea was to put the product to the test and demo it. With a social (Lotion) Experiment. So we conducted an organic social experiment in the town of Kodiak, Alaska (one of the harshest climates in the world). We set the product to the test by giving it to one woman, Petal Ruch. We asked her to try it and if she liked it to prescribe it to anyone she felt needed it. And so the spread began. We documented the entire spread over the course of 3 weeks, capturing over 200 hours of footage and over 3000 images of the people of Kodiak. From this content we then created the campaign. From TV to digital to print. It was a truly unique way to launch a product by letting the consumers create the campaign for us. It relied on a brave client who knew the work would be created organically depending on how the product worked and was received. Over 2000 people in the town were prescribed. From here we opened the spread up to the rest of the country. Using our online platform people could send digital prescription samples to each other. After a couple of weeks the spread had moved across America with over 3 Million people eventually being prescribed. We worked with indie Director Derek Cianfrance and artistic Photographer Elinor Carucci. 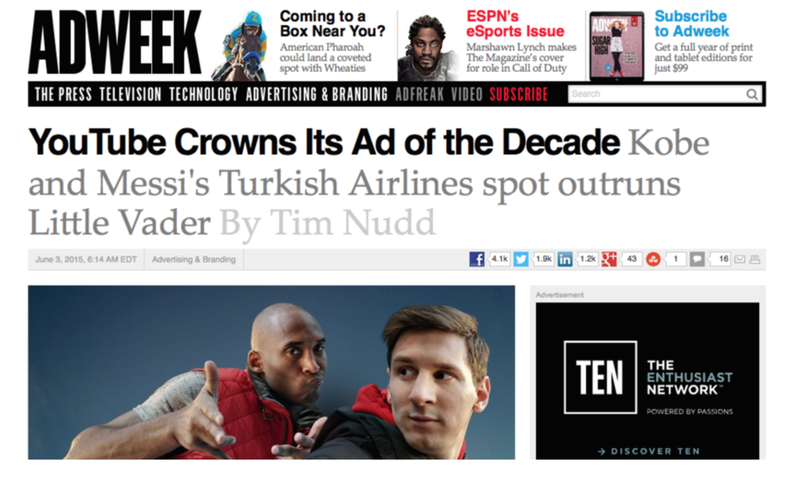 While at CPB LA we pitched on the global business for Turkish Airlines. A global relaunch brief to position TA as the biggest airline in the world. We won the pitch. Widen Your World was the overarching idea to showcase the fleet and scale of the airline and it's destinations. We brought this to life by taking the two biggest sports stars in the world and the pop culture phenomenon of "the selfie" to create an epic selfie battle between them across the world. Two iconic brands in themselves taking selfies around the world. It was them like you'd never seen them before and they were playing right into a pop culture habit. We launched with this global film below. We then also created "selfie" OOH and digital billboards that ran globally. Showing the stars all over there world taking selfies. The spot has over 146 million views on YouTube and was recently voted YouTube's Ad of the Decade. Making it the most viewed commercial online in history. The film was shot by Joseph Kahn and print and OOH photographed by Michael Muller.